Why Not a Referendum on the Democratic Party? Peggy Noonan has a wonderful article today in the Opinion Section of The Wall Street Journal. The WSJ editors must have considered her column important, because they published it in Opinion Journal and dropped the “paywall.” They made it free to the public. Unions have been respected in America forever, and public employee unions have reaped that respect. There are two great reasons for this. One is that unions always stood for the little guy. The other is that Americans like balance. We have management over here and the union over here, they'll talk and find balance, it'll turn out fine. But with the public employee unions, the balance has been off for decades. And when they lost their balance they fell off their pedestal. As for unions looking out for the little guy, that's not how it's looking right now. Right now the little guy is the public school pupil whose daily rounds take him from a neglectful family to an indifferent teacher who can't be removed. The little guy is the beleaguered administrator whose attempts at improvement are thwarted by unions. The little guy is the private-sector worker who doesn't have a good health-care plan, who barely has a pension, who lacks job security, and who is paying everyone else's bills. And Peggy goes on to explain that “suddenly everyone is talking about numbers.” The numbers are no longer abstract. Our states have to deal with them, and the numbers have consequence to the lives of people. I thought of her comments in the context of an inspired satirical post by David Burge. Writing for his Iowahawk blog, he shows how numbers are used to create an impression that furthers a political point of view. If you like David Burge’s “Iowahawk Smackdown,” you might be one of those Americans who is suddenly into numbers. 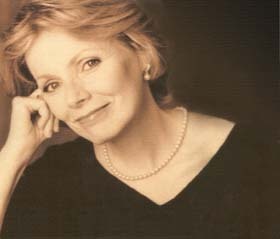 Peggy Noonan's piece today in The Wall Street Journal is titled, "The Daydream and the Nightmare." It is a summation of the state of Obama's presidency. The pull quote is, "He is waiting for history to get its act together and see his true size." Obama isn't doing his job. He's waiting for history to recognize his greatness. I don't know if we sufficiently understand how weird and strange, how historically unparalleled, this presidency has become. We've got a sitting president who was just judged in a major poll to be the worst since World War II. The worst president in 70 years! Quinnipiac University's respondents also said, by 54% to 44%, that the Obama administration is not competent to run the government. A Zogby Analytics survey asked if respondents are proud or ashamed of the president. Those under 50 were proud, while those over 50, who have of course the longest experienced sense of American history, were ashamed. We all know the reasons behind the numbers. The scandals that suggest poor stewardship and, in the case of the IRS, destructive political mischief. The president's signature legislation, which popularly bears his name and contains within it the heart of his political meaning, continues to wreak havoc in marketplaces and to be unpopular with the public. He is incapable of working with Congress, the worst at this crucial aspect of the job since Jimmy Carter, though Mr. Carter at least could work with the Mideast and produced the Camp David Accords. Mr. Obama has no regard for Republicans and doesn't like to be with Democrats. Internationally, small states that have traditionally been the locus of trouble (the Mideast) are producing more of it, while large states that have been more stable in their actions (Russia, China) are newly, starkly aggressive. That's a long way of saying nothing's working. Which I'm sure you've noticed. But I'm not sure people are noticing the sheer strangeness of how the president is responding to the lack of success around him. He once seemed a serious man. He wrote books, lectured on the Constitution. Now he seems unserious, frivolous, shallow. He hangs with celebrities, plays golf. His references to Congress are merely sarcastic: "So sue me." "They don't do anything except block me. And call me names. It can't be that much fun." Minuscule? Politics is his job. When the crisis in Ukraine escalated in March, White House aides wondered if Mr. Obama should cancel a planned weekend golf getaway in Florida. He went. At the "lush Ocean Reef Club," he reportedly told his dinner companions: "I needed this. I needed the golf. I needed to laugh. I needed to spend time with friends." You get the impression his needs are pretty important in his hierarchy of concerns. This is a president with 2½ years to go who shows every sign of running out the clock. Normally in a game you run out the clock when you're winning. He's running it out when he's losing. All this is weird, unprecedented. The president shows no sign—none—of being overwhelmingly concerned and anxious at his predicaments or challenges. Every president before him would have been. They'd be questioning what they're doing wrong, changing tack. They'd be ordering frantic aides to meet and come up with what to change, how to change it, how to find common ground not only with Congress but with the electorate. Instead he seems disinterested, disengaged almost to the point of disembodied. He is fatalistic, passive, minimalist. He talks about hitting "singles" and "doubles" in foreign policy. "The world seems to disappoint him," says The New Yorker's liberal and sympathetic editor, David Remnick. What kind of illusions do you have to have about the world to be disappointed when it, and its players, act aggressively or foolishly? Presidents aren't supposed to have those illusions, and they're not supposed to check out psychologically when their illusions are shattered. Barack Obama doesn't seem to care about his unpopularity, or the decisions he's made that have not turned out well. He doesn't seem concerned. A guess at the reason: He thinks he is right about his essential policies. He is steering the world toward not relying on America. He is steering America toward greater dependence on and allegiance to government. He is creating a more federally controlled, Washington-centric nation that is run and organized by progressives. He thinks he's done his work, set America on a leftward course, and though his poll numbers are down now, history will look back on him and see him as heroic, realistic, using his phone and pen each day in spite of unprecedented resistance. He is Lincoln, scorned in his time but loved by history. He thinks he is in line with the arc of history, that America, for all its stops and starts, for all the recent Supreme Court rulings, has embarked in the long term on governmental and cultural progressivism. Thus in time history will have the wisdom to look back and see him for what he really was: the great one who took every sling and arrow, who endured rising unpopularity, the first black president and the only one made to suffer like this. That's what he's doing by running out the clock: He's waiting for history to get its act together and see his true size. He's like someone who's constantly running the movie "Lincoln" in his head. It made a great impression on him, that movie. He told Time magazine, and Mr. Remnick, how much it struck him. President Lincoln of course had been badly abused in his time. Now his greatness is universally acknowledged. But if Mr. Obama read more of Lincoln, he might notice Lincoln's modesty, his plain ways, his willingness every day to work and negotiate with all who opposed him, from radical abolitionists who thought him too slow to supporters of a negotiated peace who thought him too martial. Lincoln showed respect for others. Those who loved him and worked for him thought he showed too much. He was witty and comical but not frivolous and never shallow. He didn't say, "So sue me." He never gave up trying to reach agreement and resolution. It is weird to have a president who has given up. So many young journalists diligently covering this White House, especially those for whom it is their first, think what they're seeing is normal. It is not. It is unprecedented and deeply strange. And, because the world is watching and calculating, unbelievably dangerous.